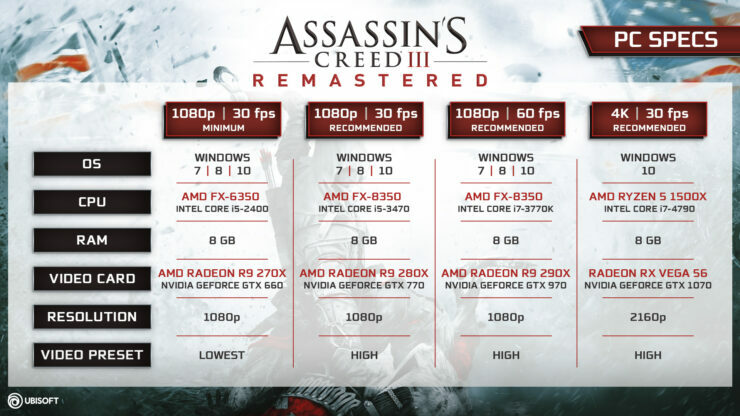 Ubisoft shared today the official PC specifications of Assassin’s Creed III Remastered. The game is expected to launch March 29th on PC and will be included with the Assassin’s Creed Odyssey Season Pass. This remaster delivers improved graphics and gameplay as well as all the downloadable content originally released for Assassin’s Creed III. 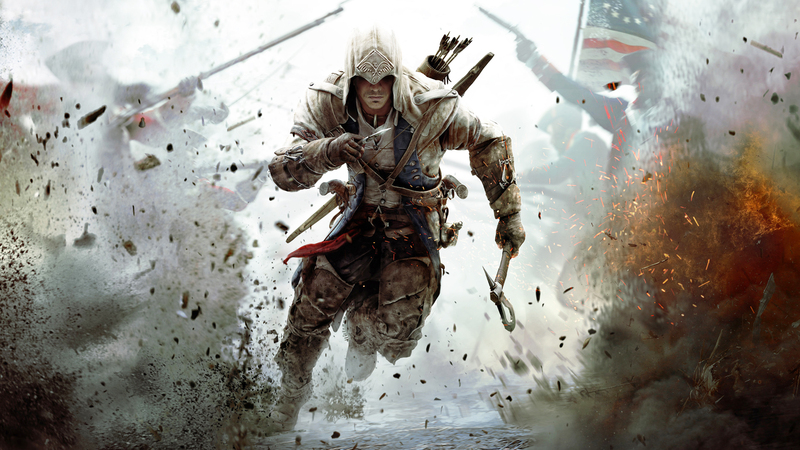 There’s even Assassin’s Creed Liberation Remastered, too.